Kimchee Downtown Guesthouse is located in right next to the city center of Seoul, giving you lots of things to do within walking distance, or a short subway ride. The hostel is within a minute walk from Chungjeongno station on lines 2 and 5, as well as only being 800 m by foot away from Seoul Station. Within few subway stops, you will find some of Seoul’s most famous locations such as, Seoul N Tower, Myeongdong, Korean War Memorial, Edae, Gwanghwamun, Cheonggyecheon Stream, Gyeongbokgung Palace and City Hall. We boast clean and cozy rooms, with shared bathrooms for dormitories and en-suite for private rooms. 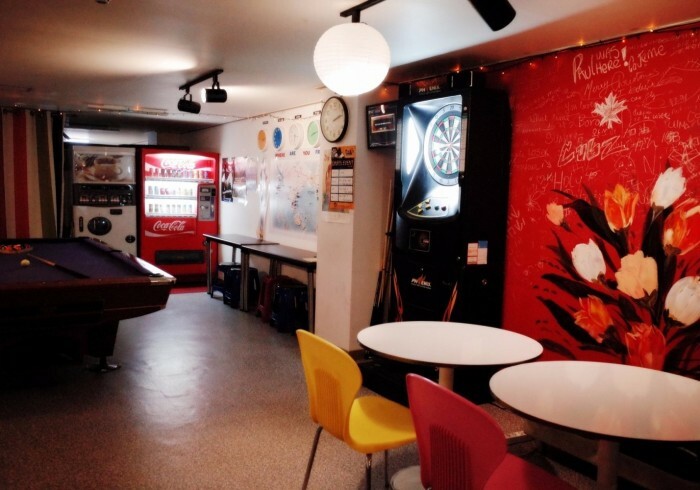 You can relax and meet friends from all around the world in our common area. Come join us for a while, we welcome you to Seoul! We wish you a memorable stay with us, and safe travels! Check our AVAILABILITY and BOOK NOW at Kimchee Downtown Guesthouse!